Welcome to SherriSellsHomes.com, your Portland, Oregon AND Vancouver, Washington real estate resource! 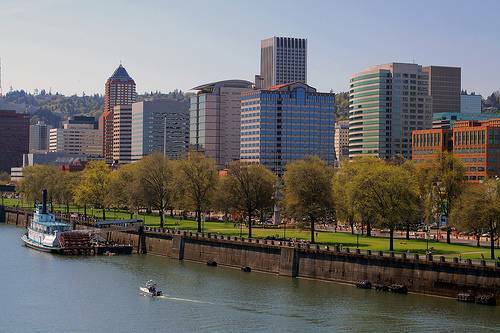 We serve the Oregon cities of Portland, Beaverton, Clackamas, Lake Oswego, Happy Valley, Troutdale, and Gresham, as well as the State of Washington and its cities of Woodland, Kalama, Camas, Ridgefield, Washougal, Amboy,Battle Ground, Brush Prairie, and Yacolt! The city of Vancouver, Washington sits on the north bank of the Columbia River, directly across from Portland, Oregon, and the Pacific Coast is about 40 minutes to the west. The Cascade Mountain Range rises on the east.Mt.St.Helens National Volcanic Monument and Mt Hood are less than two hours away. The spectacular Columbia River Gorge National Scenic Area lies 30 minutes to the east. Vancouver combines the excitement of a major metropolitan area with small-town charm and abundant recreational opportunities. The Vancouver, Washington metropolitan area is host to many small communities outside of the city limits. Woodlandis located just 20 miles north of Vancouver, and is the southern gateway to the infamous Mt.St.Helens. The city of Woodland is located in both Cowlitz and Clark Counties. Woodland is also home of the famous Hulda Klager Lilac Gardens and the annual celebration of The Lilac Festival. The beautiful city of Kalama is north of Woodland and overlooks the Columbia River and the hills of Oregon. Situated in the eastern hilly portion of Clark County, Washington, lies the City of Camas, home to several large, hi-tech manufacturing industries. Located along the Washington banks of the Columbia River, this "small" city has become a "big" player in the locating and siting of international companies. Directly across the Columbia River, lies the city of Portland, Oregon. With a population of 562,690, it's Oregon's most populous city, and the third most populous city in the Pacific Northwest. Please click on the blue house above to search for all available properties in SW Washington and Oregon's Regional Multiple Listing Service. If you see any homes that interest you, please copy and paste the MLS # from the listing into the form at the top of the search page and it will e-mail me directly to send you more information about those listings. This is a real-time updated database and new listings come on the market daily, so please bookmark my page and check back often.